Want to Hear All the MOBB CLUB Secrets? “Nader, that’s a KILLER sales letter! “Rip Me Off… I Dare You! My checking account number at Chase Bank is 133670221. My preferred location is at 790 E. Broward Blvd., Fort Lauderdale, FL and the Florida routing number is 267084131. Yes, this is all my real information. The manager is never rude. His name is Renzo Colmanares. Even when this downtown branch is bustling with action, which is almost ALWAYS, there’s no shortage of smiles and eager-to-help bankers. But am I crazy? Why am I revealing such highly confidential data with you? The answer is simple: I’m confident you’ll never use it. In fact, you won’t even be tempted. My name is Nader Anise. 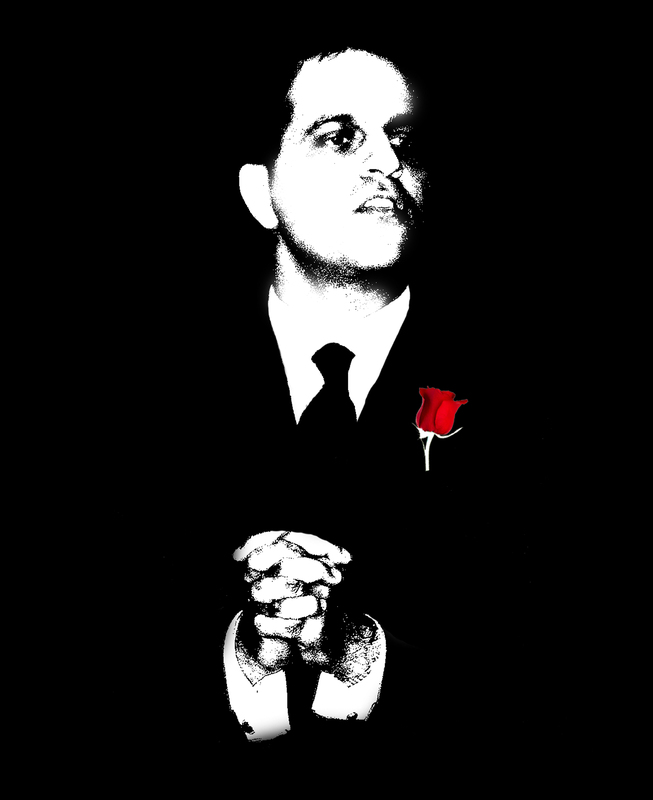 I’m the founder and “Mobbfather” of the MOBB CLUB, the world’s first mafia-themed marketing club for small business owners around the world. M.O.B.B. stands for Marketing-Obsessed Business Builders. I started the club to help small businesses succeed by teaching them the fastest, smartest, and most cost-effective ways possible to grow. Our members run brick and mortar companies, professional practices, brokerage firms, ad agencies and home-based businesses; they are marketers, copywriters, coaches and consultants, speakers, authors, and entrepreneurs building all types of profitable enterprises (no MLM). In terms of marketing and making money, they are utterly committed — but they can also let loose and have fun with our mafia theme. Sounds like your kind of place, right? Content – You will receive knowledge, information and training from some of the world’s greatest marketing minds. Whether it’s me personally teaching my proven mind-blowing methods, or my hand-picked experts sharing real-world blueprints for success, there’s no better source for amassing marketing know-how. Coaching – Two of the membership levels — CAPO and UNDERBOSS — provide extraordinary opportunities to work closely with some of my chosen experts, or even directly with me. Having us hold your hand and work one-on-one with you to build your business is invaluable. Community – MOBB CLUB members are among some of the sharpest, most motivated small business owners anywhere. Plus, they’re generous with their time and knowledge. We will connect you with like-minded business people using our private Facebook groups and special activities. This is perfect for networking, referrals, JV’s and business growth. Cash – Once you’re “made” in either the CAPO or UNDERBOSS levels, you will receive your own special affiliate link to pass along to other business builders to join this “Marketing Thing of Ours.” This will entitle you to get a nice cut of the action for your efforts. But use it only if you want to. As a CAPO or UNDERBOSS, you’ll earn a hefty 40% commission on any SOLDIER or CAPO who joins using your affiliate link. And the best part? Payments will be made monthly and RECURRING as long as your affiliates are members. If they’re members for 5 years, you’ll get paid for 5 years — or potentially in perpetuity! And if you’re looking to completely dominate your market and “bury” your competition, fuhgettaboutit, that’s our specialty! What will your MOBB CLUB nickname be? Besides helping you grow your business, as you can see, the MOBB CLUB experience can be a lot fun! For the last 30 years, Nader’s unparalleled talents as a marketing strategist, copywriter and ad man have generated hundreds of millions of dollars, both online and offline. 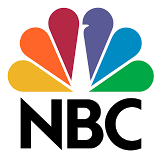 In addition, he is a celebrated PR expert, and has been featured in countless media outlets such as: The Wall Street Journal, NBC, Forbes, Bloomberg, Inc. and USA Today. Nader’s storied marketing and sales experience has enabled him to mentor business owners in all types of industries, including: legal, medical, financial, therapeutic, mortgage, investment, wealth, retail, insurance, transportation, clothing, restaurant, real estate, education, insurance, construction, internet, telecommunications, religion, manufacturing and many others. He has trained over 25,000 business owners from all around the world. In 2001, Nader wrote a one page press release that generated over $2,200,000 in free national publicity. 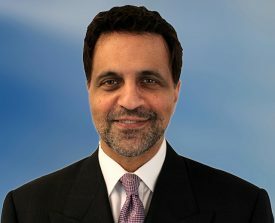 Nader once wrote a direct mail letter for a law firm that consistently generated an astounding 6-10 new clients per day. On one very memorable day, the firm signed up a record 22 new clients as a result of that letter. In 2016, Nader Anise was the recipient of multiple Ragan’s PR Daily honorable mention publicity awards for a massively-successful PR campaign, even landing him a feature story on the FRONT PAGE of The Wall Street Journal and 73 other top worldwide media outlets. Want to Turbocharge Your ROI? Nader Delivers High-Octane! "Dear Nader, Based on the direct mail piece we made from your presentation, we were in the black on it just about 10 days (2 weeks at the outside) from the first batch's release. A very fast ROI compared to what we expected. I can tell you that our current ROI for the mailer is about 200%... the conversion rate is nearly 4 times our digital one." "That's a KILLER sales letter! Unless you say different, I'm going to write about it in my newsletter." "One of the Big Stars"
"Nader, You knocked it out of the park! 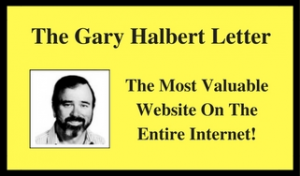 Whenever we think of Halbertology, you are always one of the big stars of that show that really shined and gave some of the best value and life-changing information." "Listen to this guy, and learn all you can from him. Nader Anise broke the marketing code long ago and has been helping high-powered clients bring in buckets of cash. Buckets." 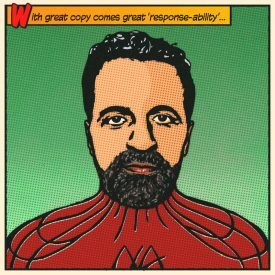 David Garfinkel - "The World's Greatest Copy Coach"
"Nader: I am astounded at your ingenuity..."
"To Nader - You are enormously impressive -- your ability, creativity/ethos and remarkable tenacity is inspiring." "Thanks for sharing your promotion with me. You're amazing... You really did an incredible job." "Nader Anise’s MOBB CLUB is the real deal where marketers who generate mega bucks come to hang out and get advice. Nader’s in a unique situation because he’s a savvy marketer and was also a lawyer in his past life. I hate negotiating. I just want to do the work. But with just one piece of advice from Nader in the MOBB CLUB I negotiated for royalties on my project that is on course to make me an additional $11,125 on our product launch." "Nader's strategies are nothing short of amazing and can position you to increase your both exposure and income. Why wouldn’t you make an investment in yourself that will produce great returns? The only thing that will stop you is your fear of success! Contact him before your competitors do. I’m glad I did." "The Envy of All My Competition"
“Nader: You and I worked together to cook up some of the best marketing ideas I have ever encountered. However, one idea has created a constant stream of new business in an inexpensive and professional way that is the envy of all of my competition. My competition has even complimented my efforts despite the fact that we are out competing them with your idea." “Mr. Anise: I am forever grateful to you. In under 13 months, I went from making $300 a month to over $100,000 a year – just because of one of your tips." “Within days of using some of your strategies, my picture was on the front page of a major newspaper and I was featured several times. I couldn’t buy that type of third-party endorsement advertising. If I had, I would have easily paid tens of thousands of dollars. But it didn’t cost me a dime… Again, Nader, you are the Jedi Master." “Nader, I want to thank you for your invaluable marketing strategies…What is surprising is how fast and easy it was to get literally tens of thousands of dollars in free publicity. Your strategies worked flawlessly." Patrick Masterpalo - Ocean, N.J.
John Lauro - New York, N.Y.
“Too many goo roos have been preaching trust without explaining what trust really is or how it works. Relax. You don’t have to whack anyone to gain entry into this marketing-centered family we have here. All you need to do is review the membership ranks below and then select the one that best suits you and your business. It’s that simple. And make sure you pay special attention to the SOLDIER and CAPO ranks which are both offering a 30-Day trial membership for only $1. Clearly, though, the CAPO rank gives you the best value. And a little tip: If you’re even considering the UNDERBOSS level, be prepared to be put through the ringer. I have to be absolutely certain we are a good fit before I take you under my wing at such a high level. 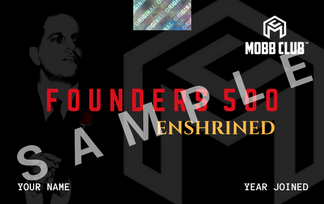 In addition, if you are one of the first 500 new members to join in any of the 3 ranks (SOLDIER, CAPO or UNDERBOSS), and remain a member for 12 consecutive months, you will be enshrined as a member of the ultra-exclusive “Founders 500.” This distinction opens the door to many exclusive privileges not available to anyone else, such as: private, “By Invitation Only” opportunities, reduced pricing on MOBB CLUB products and services, unadvertised networking opportunities, introductions to some of our private vendors, and much more. Plus, you name will be permanently listed as a Founders 500 member on our website. (NOTE: This is NOT for you if you hate getting treated like a VIP high-roller with golden keys to the Presidential Suite). After your 12th month of membership, we will send you a Founders 500 certificate, suitable for framing. This is our way of honoring your status as a key member in building the MOBB CLUB. Remember how I gave you my actual Chase checking account number above? I did that to show you how serious I am about refunding your trial offer if you’re unsatisfied for any reason. All you need to do is simply request a refund and that’s it. I will personally send you a check for not $1 — but $2 — drawn on the exact Chase checking account I referenced above. If you play your cards right, you can actually “rip me off” and make a $1 profit from your trial membership. And don’t worry, this won’t put you in any danger of sleeping with the fishes. The thing is, once you see the enormous value in being a MOBB CLUB member, you will not only shun the idea of leaving, you’ll want every business builder you know to join as well. How do I know? It happens all the time. Our members find their MOBB CLUB experience sweeter than a box of freshly-piped cannolis. WARNING: 4 Shameless (and Irresistible) Bribes Ahead! If you are still somehow on the fence about joining the MOBB CLUB — even with all the amazing benefits… even with the microscopic $1 entry fee… even with a “double your money” guarantee… and even with glowing testimonials from marketing’s biggest names — then I’ll have to resort to some good, old-fashioned bribery to get you to click the SIGN UP button. Who in their right mind could possibly say no to this? The Shockingly Simple Referral Trick that Works Every Single Time – Does your business depend heavily on referrals? Wish you had more quality referrals? Would you like to have at least one “go-to” trick that works every time? I’ll share my proven method (and complete strategy) with you, including when to really “pour it on” and when to pull back. Almost no one knows about this trick. 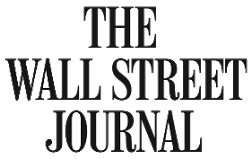 How I Landed a FRONT PAGE Feature Article in the Wall Street Journal Using One Crazy Word – This is an absolutely incredible story of how I was able to entice a WSJ editor into featuring me on the front page of the PRINT EDITION. It all revolved around the use of one strange word that he found irresistible. I’ll share that one word with you — and show you how to use it to gain major media coverage for YOUR business. My First 30 Years in Marketing: The Greatest Lesson I’ve Learned and Why It Never Fails – Having been in marketing for three decades, and often achieving unimaginable successes, I know what works and what doesn’t. Without fail, every time I follow this one tip, or share it with others, it opens the money floodgates. Time and time again. Wouldn’t you love to know what it is? The 8 Words I Use to End an Email that Practically FORCES People to Reply (Even Cold Emails) – I really shouldn’t be sharing this secret with anyone because it defies logic. It’s so unconventional, you might not take it seriously. But, make no mistake, if you do any type of email marketing, this one line can change everything. I’m not joking. I’ve had CEOs from major corporations reply to me within hours (sometimes minutes) because of this one line. Just use these specific 8 words and people will struggle to resist you (and usually lose). Any 1 of these 4 reports ALONE is worth the price of membership in the MOBB CLUB. However, you’ll get all 4 for FREE when you sign up now for any of the MOBB CLUB ranks. And if you decide to cancel your membership before the 30-day trial ends, please keep the reports as my gift to you. So, at this point, there’s only one thing left for you to do. Don’t wait another second… sign up right now… or we might have to send over Joey Knuckles to pay you a little visit. I look forward to welcoming you to the MOBB CLUB famiglia. P.P.S. Join today by selecting one of the ranks below and pay only $1 to start. If you’re looking to get made at the entry level, go to the SOLDIER rank (all the way on the left) and click the “Start 30-Day Trial for Only $1” orange button at the bottom. If you prefer rising up the ranks quickly and starting off as a CAPO, go to the center column and click on the orange button at the bottom that says, “Start 30-Day Trial for Only $1.” CAPOS receive the same benefits that SOLDIERS receive… PLUS… group coaching, meetup opportunities, heavily discounted critiques, a generous affiliate program, and a few other “secret” perks. EARNINGS DISCLAIMER: ANY EARNINGS, INCOME OR PROFIT STATEMENTS MADE BY ANYONE ON THIS WEBSITE OR ANY OTHER MOBB CLUB PROPERTY ARE UNIQUE TO THAT PERSON. THERE IS NO ASSURANCE OR GUARANTEE BEING MADE THAT YOU WILL ACHIEVE THE SAME RESULTS. ANY PRIOR SUCCESSES OR PAST RESULTS SHOULD NOT BE USED AS AN INDICATION OF YOUR FUTURE SUCCESS, RESULTS OR INCOME. DISCLAIMER: The MOBB CLUB is a marketing club that attracts entrepreneurs and business people from all around the world. It is full of good people who take marketing seriously but can also have fun with our tongue-in-cheek mafia theme. We do not condone violence or criminal activity of any kind. Any mafia references made are meant strictly for entertainment purposes. The MOBB CLUB is not affiliated with any illegal, unlawful or unethical organization.